Jayda Cowl is worked in the round in a lace pattern of diamonds and X’s. Two sizes are provided in the pattern; circumference and length are easy to customize. The smaller version is a fun, quick knit that is perfect for using up leftover sock yarn. 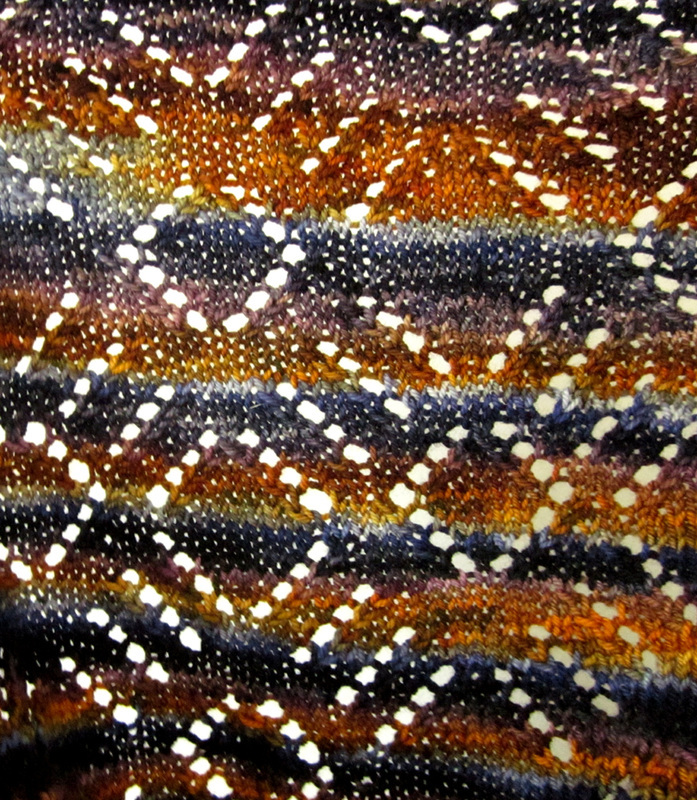 The larger version can be worn as a large cowl around the neck or around the upper body as a shawl. Stitch pattern is charted. Smaller version: Knit Picks Imagination [50% Merino Wool, 25% Superfine Alpaca, 25% Nylon; 219 yd/200 m per 50g skein]; color: Ruby Slippers. Larger version: Dragonfly Fibers Djinni Sock [80% Superwash Merino, 10% Cashmere, 10% Nylon; 420 yd/384 m per 113 g skein]; color: Maggie May. Yardage needed: 175 (420) yds. 18 sts/33 rounds = 4" in Jayda stitch pattern.